Laurence Weedy (larryboy) added a comment to T62315: Crash when armature made parent of Suzanne with Automatic weights or envelope weights. Yes I can confirm it has been fixed in todays build. Laurence Weedy (larryboy) created T62315: Crash when armature made parent of Suzanne with Automatic weights or envelope weights. Laurence Weedy (larryboy) added a comment to T59877: Object Info node does not return random value in EEVEE. I think my bug, T61378, is not the same as this bug. Laurence Weedy (larryboy) updated the task description for T61378: Eevee: Random attribute in 'Object info' node malfunctions when object with particle system is link duplicated . Laurence Weedy (larryboy) created T61378: Eevee: Random attribute in 'Object info' node malfunctions when object with particle system is link duplicated . Laurence Weedy (larryboy) added a comment to T59390: Materials made from 'Make Single User' share animation from the material they were made from. This problem seems to have been fixed now with this mornings build - Win 64 ending 7e5 - 21/12/18. Was still a problem with yesterdays build. Laurence Weedy (larryboy) updated the task description for T59390: Materials made from 'Make Single User' share animation from the material they were made from. Laurence Weedy (larryboy) created T59390: Materials made from 'Make Single User' share animation from the material they were made from. 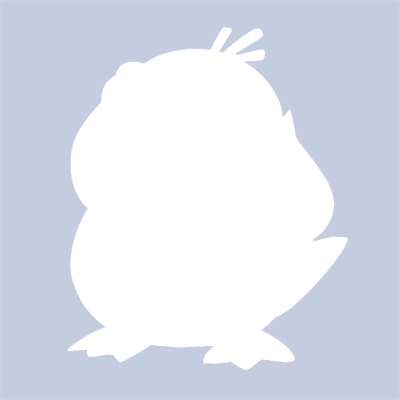 Laurence Weedy (larryboy) added a comment to T58351: Make Single User crashes. This bug was introduced between the Win10 64 build dated 251118 ending 3d8 (where it was not present) and 271118 build ending 436 (where it was present). Interestingly it was after the 25th of Nov build that a lot of us reported performance slowdowns using eeVee. For me it was scrolling through the time line was too slow to be usable so I am still using the pre271118 build for my work. Laurence Weedy (larryboy) created T59279: Blender crashes due to errors making materials single user. Laurence Weedy (larryboy) added a comment to T58188: Extreme FPS loss (24x) between 2.79 and 2.8 with particle systems. I have just tried this mornings buld for Win 64 - 5/12/18 ending a3a. As with Carlo above there is an improvement but as I scroll the time line it is still about half the speed of the release 24/11/18 ending 0af (which is still quite slow - there's a lot going on). I see there are some more fixes by Clement since this build and will try them tomorrow when they're available to me. I have been working with the daily builds for some time now.